AN AMENDMENT TO the Protection of Life During Pregnancy Bill to include a provision allowing for the termination of pregnancies in cases of inevitable miscarriage has been defeated at committee stage. TDs on the Oireachtas select sub-committee on Health are considering the dozens of amendments tabled to the legislation that provides for abortion in circumstances where there is a real and substantial risk to the life of a woman, including suicide, which passed the Dáil last night. An amendment proposed by TD Seamus Healy had proposed to allow for a termination in cases where a doctor had determined that an inevitable miscarriage was taking place. 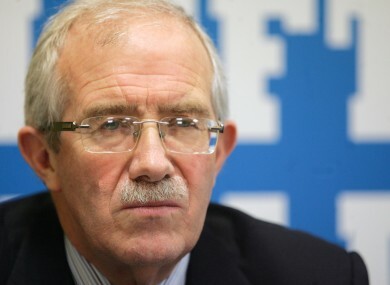 It was voted down by a margin of seven votes to one (Healy’s own), with Sinn Féin’s Caoimhghín Ó Caoláin and Roscommon independent Denis Naughten abstaining. Another amendment, to include a provision allowing for terminations where the foetus has no chance of survival outside of the womb was defeated at the committee stage last night. The purpose of this Bill is to clarify existing rights. I have to take the advice available to me. For these reasons, I can’t accept the amendments. Savita Halappanavar was deemed to be undergoing an inevitable miscarriage at Galway University Hospital last October. She and her husband requested a termination during the ordeal, but it was denied. Email “TDs vote against extending abortion bill to include inevitable miscarriages”. Feedback on “TDs vote against extending abortion bill to include inevitable miscarriages”.